Some ask if a nonprofit or publicly funded model is the future. But even free money doesn’t address declining trust. A foundation created by eBay founder Pierre Omidyar and his wife Pam recently announced it’s giving US$100 million to investigative news outlets and other initiatives, a rare boon for media institutions under duress. Even a fraction of this gift could help bolster impoverished U.S.-based journalism. Yet, while foundation-backed nonprofit outlets have clear advantages over their commercial counterparts, they may never compensate for the market failure that’s afflicting journalism. As I argue in my book “America’s Battle for Media Democracy,” commercial journalism’s deeply systemic problems call for structural alternatives, especially public models that don’t depend on market forces. While journalism needs all the cash it can get these days, its long-term survival requires steady support. That’s because there are drawbacks to relying on foundations for news operations. First, there are often at least implicit expectations about what kind of news foundation grants should support. Even well-meaning donors typically focus on specific issues while neglecting others. Second, this kind of support often isn’t guaranteed for the long term as many foundations periodically change their priorities. Journalism, which rarely pays for itself, requires sustained economic and institutional support. And third, there’s simply not enough charitable giving to support the news media at a systemic level. The Pew Research Center, a nonpartisan think tank, reported in 2014 that annual giving to U.S. media organizations totaled only $150 million. That covers less than 1 percent of overall news funding. On the other hand, liberation from profit-maximizing imperatives gives nonprofit media outfits advantages over their commercial counterparts. Nonprofits tend to devote considerably more resources to news operations than the profit-driven media. Ideally, they can focus more on neglected regions and issues, including local reporting, statehouse coverage and hard-hitting, labor-intensive investigative news – the kind of journalism that’s increasingly scarce. Omidyar has put hundreds of millions of dollars into journalism projects like First Look Media, the nonprofit news organization that supports The Intercept and its team of investigative reporters like Glenn Greenwald. The Omidyar Network’s latest donation includes $4.5 million for the International Consortium of Investigative Journalists (ICIJ), the small group that led the explosive Panama Papers investigation. 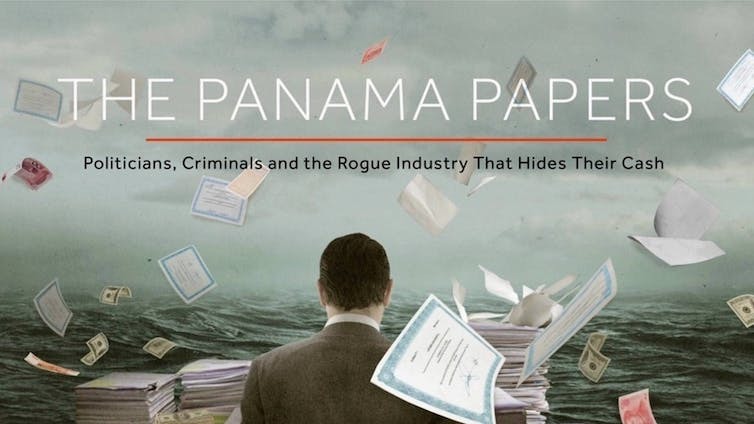 Big nonprofit media gifts help make investigative efforts like the Panama Papers possible. But even generous gifts like these probably won’t reach the most news-starved Americans. Sustaining public service journalism over the long term would require vastly more money. This is especially true as U.S. journalism suffers from what I call “systemic market failure.” Market failure is essentially baked into a commercial news model in which direct market transactions have rarely supported public service media, especially in the U.S. where print journalism has long relied mostly on ad sales. In many ways, news is a byproduct of the main exchange between publishers – who deliver access to audiences – and advertisers. This fraught relationship has often skewed coverage toward entertainment and sensationalism and privileged the demographic groups advertisers covet. Historically, U.S news outlets have relied more on advertising than their international peers. But advertisers now find better deals online, where the consumers have gone and the ads are cheap – or even free, as it is for Craigslist. Digital ads cost a fraction of what traditional print ads run, and Facebook and Google get most of that revenue. U.S. print journalism’s core business model has collapsed, even as many news organizations double down on invasive and deceptive forms of advertising. Less revenue means fewer jobs. Newspaper employment, for example, has fallen 40 percent since 2006. Despite a “Trump bump” and a newfound appreciation for the Fourth Estate following the 2016 election, which caused a sudden spike in subscriptions for many publications, most print news outlets are growing less profitable due to declining ad sales. Responses to this market failure range from paywalls to crowdfunding. There’s little evidence that any commercial model will adequately support the journalism democracy requires. Can philanthropy succeed where the market has failed? Although few precedents for donations on the scale of Omidyar’s gifts exist, foundation grants and other nonmarket support for journalism are longstanding. Prime examples include the Scott Trust, which owns The Guardian, a leading British newspaper, and the Poynter Institute, a nonprofit journalism education and training center that owns the Tampa Bay Times and supports the PolitiFact fact-checking service. Further, the Ford Foundation and other large grant-makers played a key role in creating American public broadcasting. Educational broadcasting initiatives were initially incubated by private philanthropies, universities and other backers until Congress passed the Public Broadcasting Act of 1967 to allow the government subsidies that now face an existential threat from the Trump administration. And while the U.S. pales in comparison to other leading democracies in its funding of public media, this history shows that it’s capable of at least minimally subsidizing noncommercial media. Smaller ventures like the Voice of San Diego and MinnPost, which often rely on membership support, and older initiatives like the Center for Public Integrity and the Center for Investigative Reporting suggest what viable nonprofit news models might look like. Private charitable donations can make a difference, but market failure still demands strong public options to provide a safety net while pressuring commercial news organizations to be more socially responsible. A well-funded nationwide public media system could help ensure that all Americans have access to quality news by stepping in where journalism is retreating. For example, the BBC is aiding the U.K.’s struggling news media by funding 150 local reporters at British news organizations. While expanded U.S. public media subsidies are unlikely during the Trump administration, reformers could set the stage now for political opportunities in the future. Ultimately, an ideal model would rely on a large public media trust shielded from powerful interests. Foundations could help seed this trust, which would operate independently from any single funder or government entity. A “public service tax” paid by commercial media companies, the proceeds from spectrum auctions and other fees could also help finance this public trust. The goal is to fund reporting that a healthy democracy needs but the market has no motive to support. With ads for clothes, cars and banks no longer paying the news media’s bills, sustaining public service journalism in a time of market failure requires creative ideas. Big donations can help tide things over until a new model is established. But we still need a systemic fix. Victor Pickard is a board member of the media reform organization, Free Press. This article originally appeared in The Conversation. 8.For Nonprofits, Do Happy Faces Or Sad Faces Raise More Money?